UGANDA TROPHIES DELIVERED TO THE U.S.
U.S. hunters who hunted Uganda in 2010, and paid for the shipping of their trophies to the U.S., received their trophies in good condition and now have their respective taxidermists working on their mounts (or at least the tanning of their skins). 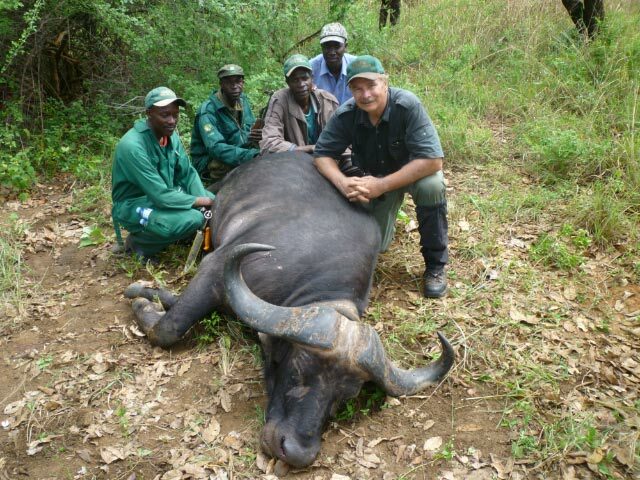 When Ken had his Uganda trophies measured by Neal Coldwell on July 29, he was told he should have his Nile Buffalo re-measured by a master measurer because it looked to be a top 10 trophy. 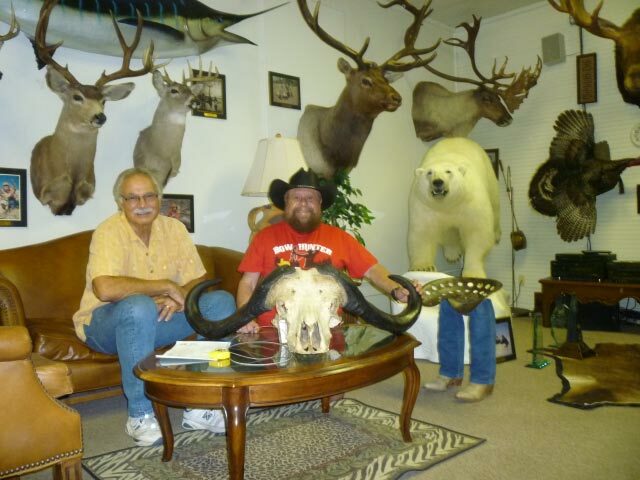 On August 8, master measurer Tink Nathan (of Tink's 69 Doe-in-Rut Buck Lure fame), scored Ken's trophy at 103, making it the new #9 in the SCI Record Book as confirmed by Diane Carabeo of the Record Book Dept. on that date). 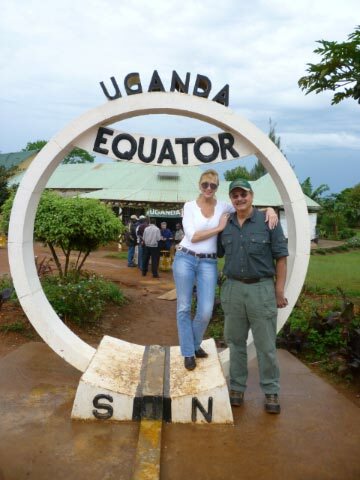 Chris Weth, the managing owner of Uganda Wildlife Safaris, says future U.S. hunters will receive their trophies in 3-6 months from the end of their safaris. Keep in mind that very few trophies have been legally hunted in Uganda during the 40 years since the start of Idi Amin's rule in 1971. So it took some time, and a Uganda Supreme Court decision in favor of hunting, to get the system going again. 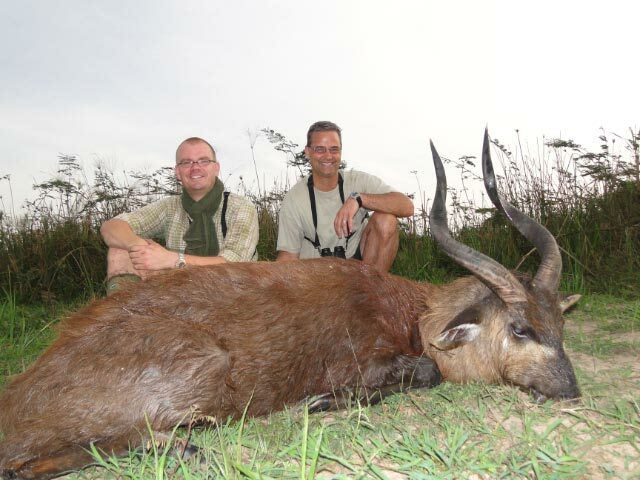 Only $4,000 + trophy fees, 1x1, and you can hunt Nile Bushbuck, EA Bush Duiker, Oribi and Olive Baboon. 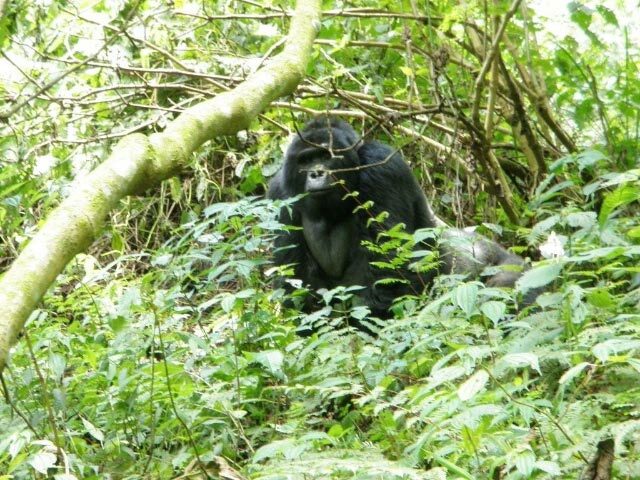 Maybe your family will join you hunting and then you can join them sightseeing various wildlife parks and climb to see the Mountain Gorillas. 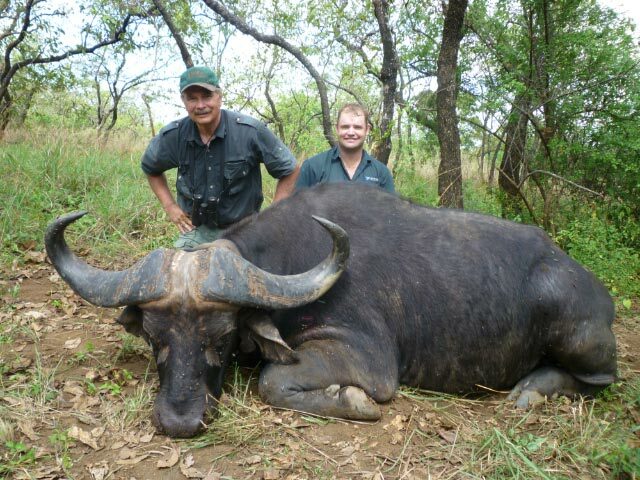 $6,600 + trophy fees and add Bush Pig, Uganda Kob, and Warthog to the Flavor of Uganda Safari. 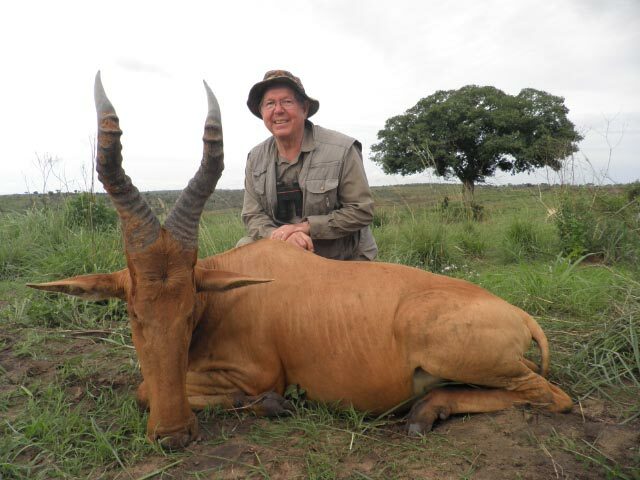 $15,900 + trophy fees and add Nile Buffalo and Eastern Bohor Reedbuck to the Plains Game Safari. $18,000 + trophy fees. Hunt EA Sitatunga instead of Nile Buffalo, but also includes a Uganda Defassa Waterbuck in addition to all the previously noted species. 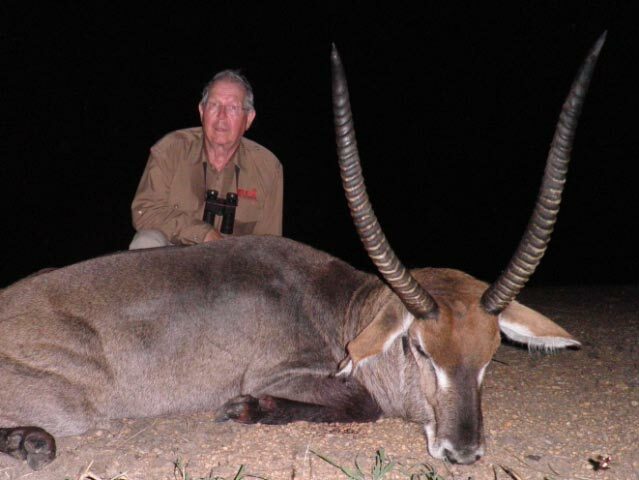 $24,640 + trophy fees for all species on license including EA Sitatunga and Nile Buffalo and all plains game previously noted plus Lelwel's Hartebeest (Jackson's race). Join Ken Wilson on one of his upcoming hunts: (1) One opening left for Alaska Brown Bear out of Port Heiden October 1-10, 2011 for $17,500. (2) Two openings left for hunting Iran this November, or you can still book most months during the upcoming season: September 10, 2011 - March 10, 2012. (3) One opening left for Eastern Tur in Azerbaijan July 8-16, 2012 for only $7,500. 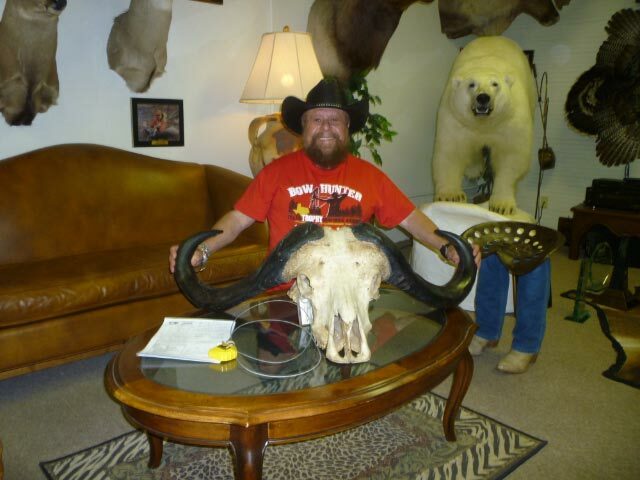 (4) Lad Shunneson's New Mexico Pronghorn hunt is sold out (book now for 2012), and his Newfoundland Moose is sold out (book now for 2012), and only one opening remains for his New Mexico Mule Deer hunt this year. Now is the time to book a billfish adventure with Lad for 2012.